Article by Darren Thompson (Ojibwe/Tohono O’odham. Darren Thompson is a Native American flute player and writer from the Lac du Flambeau Ojibwe Reservation in Northern Wisconsin. On Sunday, November 6 the Standing Rock community gathered for food, song, gifts, speeches and prayer to give Therese a party a lifetime in the making. 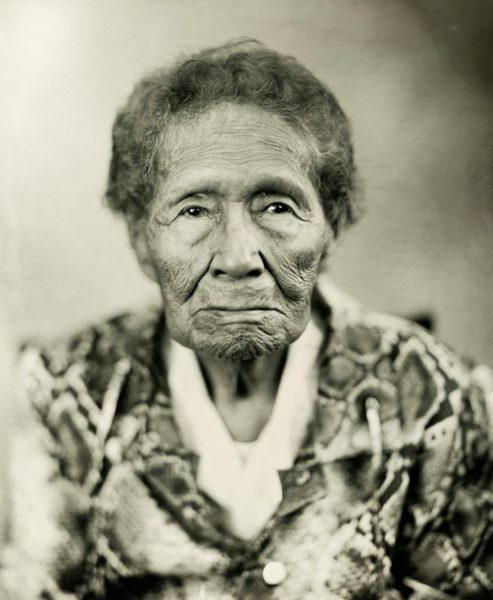 Therese Martin is the Standing Rock Sioux Tribe’s oldest living member and celebrated 100 years of life on November 3, 2016. A life-long Lakota woman of faith received good words, countless cards and gifts, a custom hand-sewn Star quilt from the Sitting Bull College, stirring speeches by many people of various walks of life, songs presented in the Lakota language, a performance by a Native American flute player, and even a birthday commemoration from His Holiness Pope Francis. She has lived through every foreign war the United States has participated in, the Great Depression and more than 15 Presidents. She has witnessed some of this country’s most historical pieces of legislation including the Indian Citizenship Act of 1924 and the American Indian Religious Freedom Act of 1978. Although born in the United States, it wasn’t until she was 16 that she was considered a citizen. 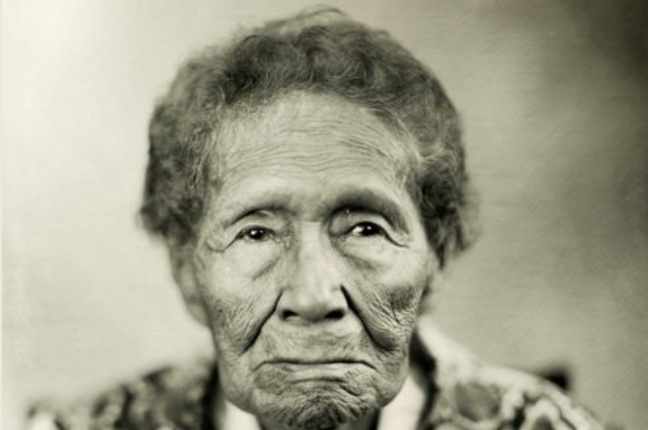 And it wasn’t until she was 60 that she was able to legally witness the ceremonies and hear the language of her people. Experiencing a lifetime of suppression of language and culture, she expressed multiple times that one of her life’s greatest experiences was to teach her own people about the Lakota language and culture. 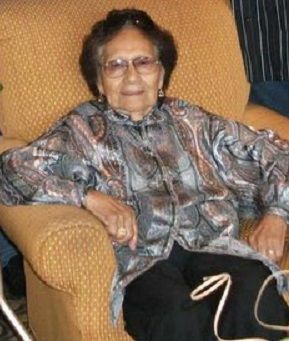 When Sinte Gleska University first opened its doors on the Rosebud Indian Reservation in South Dakota, she attended as an undergraduate student in the 1970’s to relearn her language so she could teach the next generation. “She is one of our community’s greatest treasures,” added Dr. Vermillion. Born and raised in a community on the Standing Rock Indian Reservation known as Mad Bear Camp, her childhood home is now 40 feet under Lake Oahe, the man-made reservoir created by the Army Corps of Engineers in the late 1950’s. 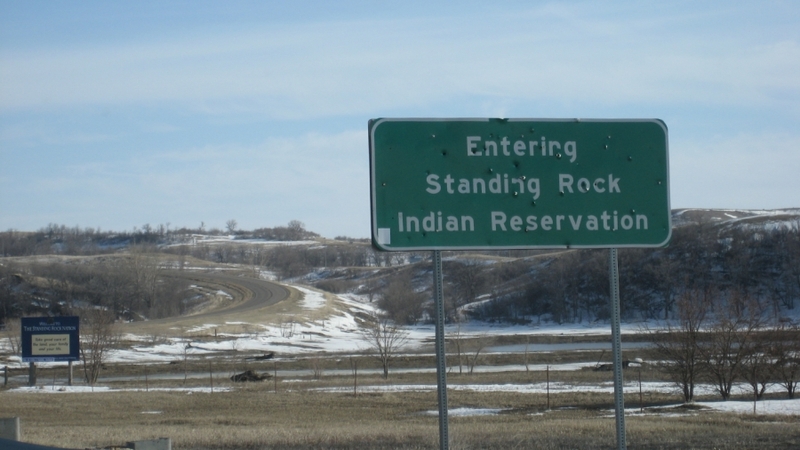 With the building of the Dakota Access Pipeline encroaching just north of the reservation, it is not Therese’s first encounter with the Army Corps of Engineers and the Federal Government’s attempt to interrupt her people’s way of life. A product of government boarding schools, Therese gave an emotional speech that will live on for generations among her people and community. She expressed her gratitude, humor and her life’s most memorable experiences. You can wish Therese Martin a wonderful life by sending gratitude, cards, and gifts to PO Box 439, Ft. Yates, ND 58538. Responses to "Standing Rock Sioux Tribe’s Eldest Tribal Member Celebrates 100 Years"
I am so pleased that Therese is still around to be able to witness that many other people stand beside the native people in their continued fight against 'the government' and any other conglomerate that might try to bludgeon her tribe into insignificance! Thank you for your commitment to The People.